Fun matters. | The Solar Nerd. As a little kid I used to build wooden stilts and totter around my parents yard in New Jersey. Later on I met Jason Szabo, a vastly talented performer here in Tampa who can draw, twist balloons, and perform on stilts. Jason let me try on his professional stilts and I found out that I could still balance and get around. 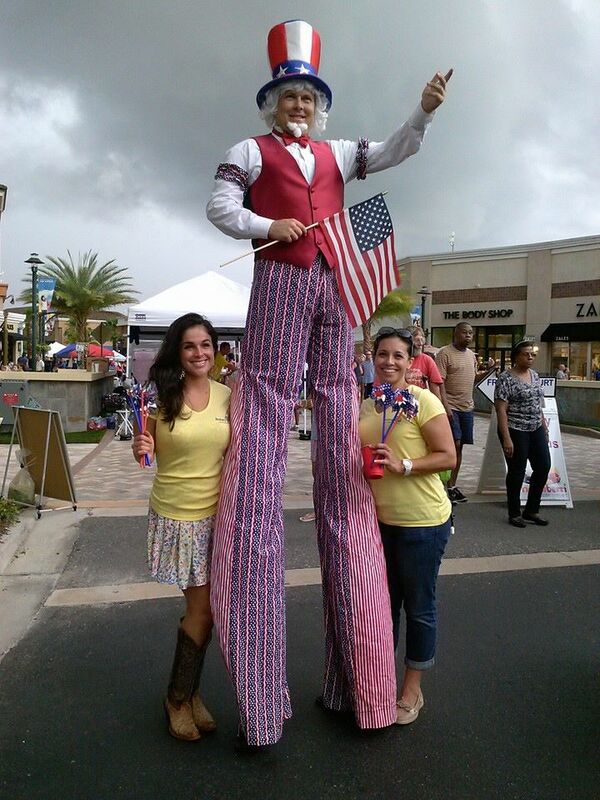 A week later I bought a pair of stilts in a pawn shop and put together the Uncle Sam outfit you see pictured above. That was from a 4rth of July parade in 2014. The Uncle Sam pants have an inseam that’s 8 feet tall! Walking on stilts is a weird thing to do, but so it starting a balloon company, building a LIFE community, teaching English in Taiwan… or going to college to study opera. It’s pretty easy to take a traditional path in life, work in a traditional job, and live a life that is conventional. But that might not be as much fun. This is why I left the job world and became a full-time entrepreneur when I was 29 years old. Owning a business has been stressful at times, and I’ve screwed up lotsa stuff, but it has also been more fun than working at a traditional 9-5 job. I’ve twisted balloons for countless children, and I still enjoy seeing the reaction on their face when you make something they’ve never seen before! You have to keep an open mind and look for ways to have fun. I’m gonna go rollerblading, see ya!